Greased Lightning, Teddyboy Rockabilly aus Finnland, das sind Jari ”Harvey“ Haavistola (Gesang & Bass), Hannu “Hande” Pussinen (Schlagzeug & Gesang), und Harri Suhonen (Gitarre). Harvey und Hande sind sehr erfahrene Musiker: Harvey spielte bereits bei den Silver Bullets und den Cast Iron Arms, Hande (seit über 30 Jahren Musiker) spielte in der Vergangenheit bei den Cosh Boys, Happotedit, Fever, C.C.Ganes und Duke & the Vi-Kings. Harri Suhonen spielte zuvor bei den Flat Hats. 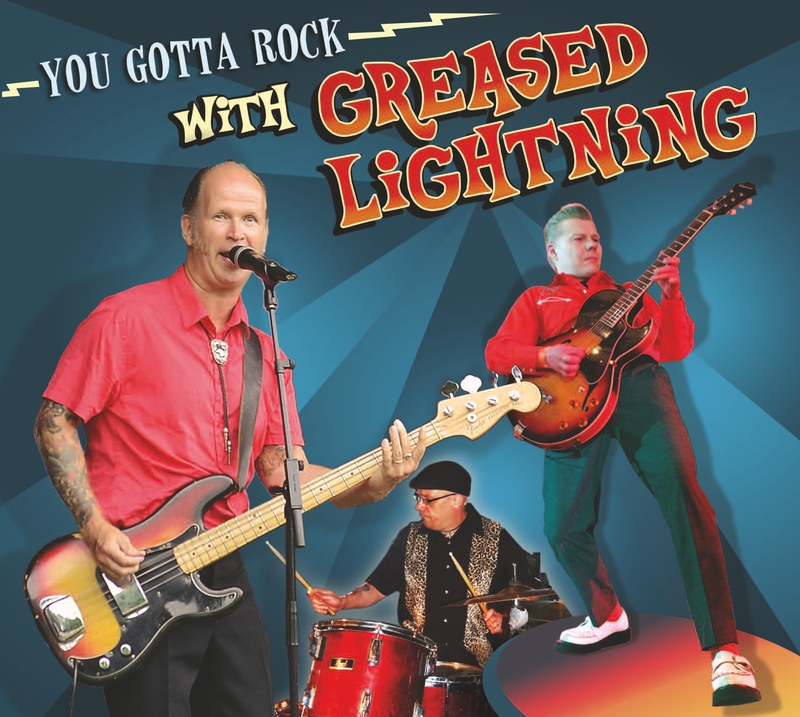 Greased Lightning rocken nun schon seit 2006, nicht nur in Finnland, auch auf internationalen Festivals hatten sie Auftritte mit Musik-Größen wie Crazy Cavan ‚n‘ the Rhythm Rockers, Vernon & the G.I.‘s, Foggy Mountain Rockers, Black Raven und Johnny and the Jailbirds, um nur einige zu nennen… Hier nun das neue Studio Album mit 15 Songs, 6 davon sind Eigenkompositionen. Greased Lightning, Teddyboy Rockabilly from Finland, that are Jari ”Harvey“ Haavistola (vocals & bass), Hannu “Hande” Pussinen (drums & vocals), and Harri Suhonen (guitars). Harvey and Hande are very well versed musicians: Harvey already played with the Silver Bullets and the Cast Iron Arms. Hande (makin’ music for more than 30 years) was member of the Cosh Boys, Happotedit, Fever, C.C.Ganes and Duke & the Vi-Kings. Harri was playin’ before with the Flat Hats. Greased Lightning are rockin’ since 2006, not only in Finland, also on international festivals where they was together on stage with grandiose bands like Crazy Cavan ‚n‘ the Rhythm Rockers, Vernon & the G.I.’s, Foggy Mountain Rockers, Black Raven, Johnny and the Jailbirds and many more… Now here is the brand new studio album with 15 great songs, six are self-penned. Enjoy it!